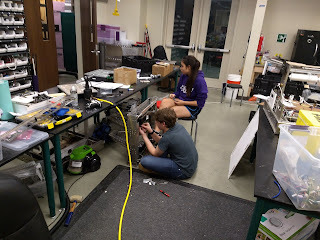 The practice bot drive train has begun assembly over the past few days. 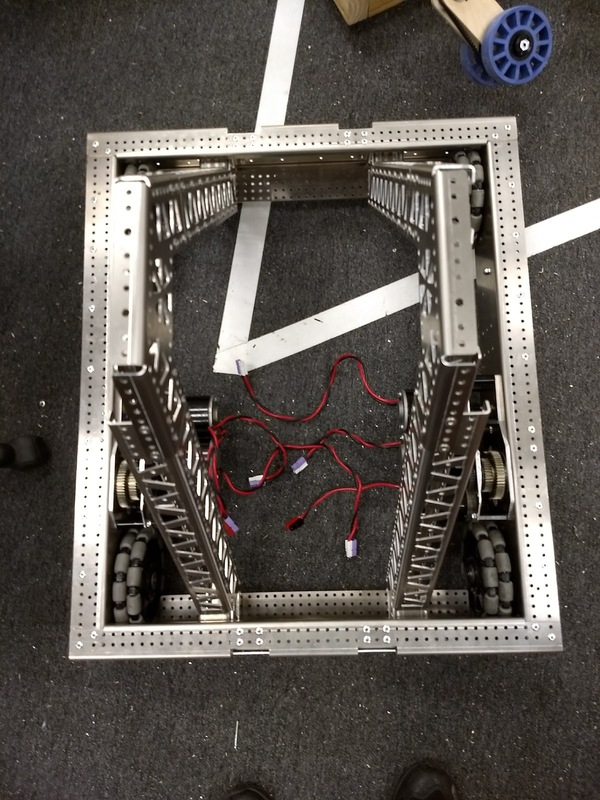 There were a few minor tweaks to it as it went together to get everything spinning nicely but it is nice and smooth now and the competition robot drive train should go together quickly once it is done being powder coated. The belly pan will go on tomorrow and we can wire up most of the robot. 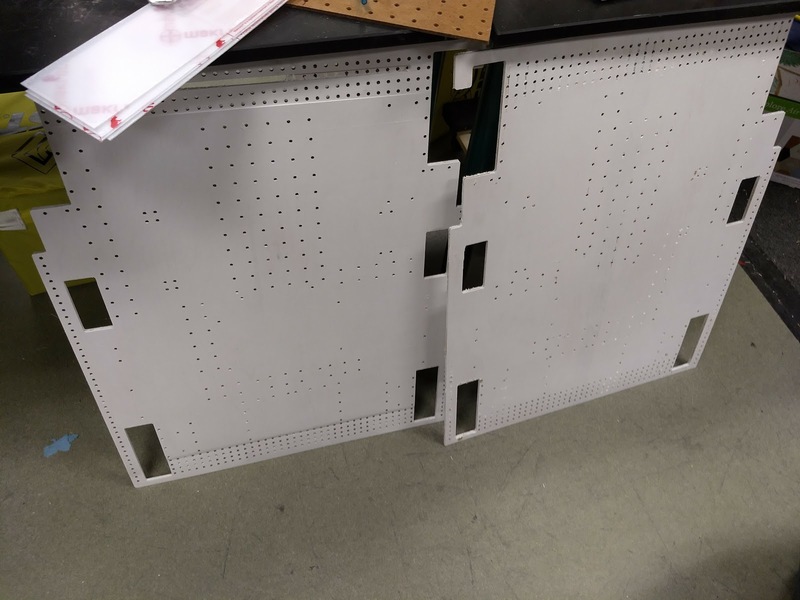 We have used 1/4" (6mm) Baltic Birch belly pans on all our robots since 2015. 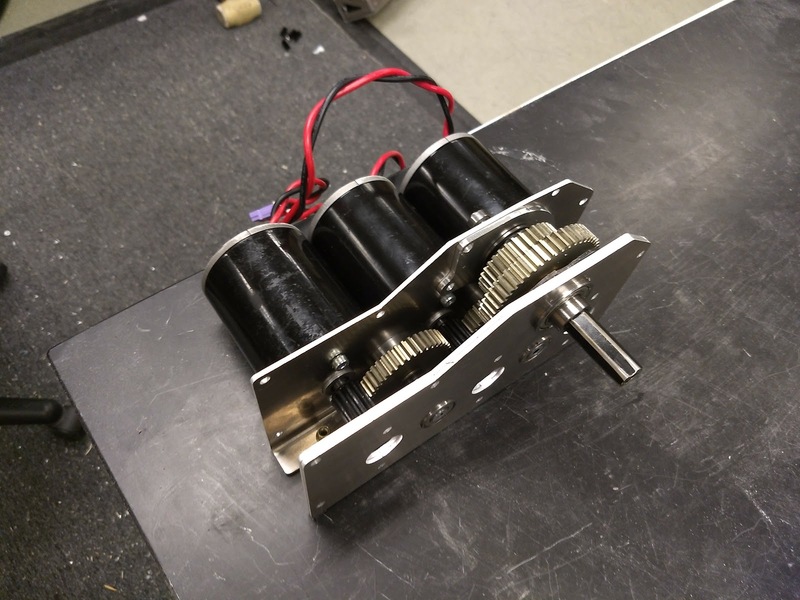 They are very rigid and light weight and allow us to easily machine in mounting holes and add other holes when needed. We can lighten them if we need to later with just a hole saw and painting them is easy. This year's was a little tricky as they are 23.25" wide and our router is only 24" so it just barely fit. 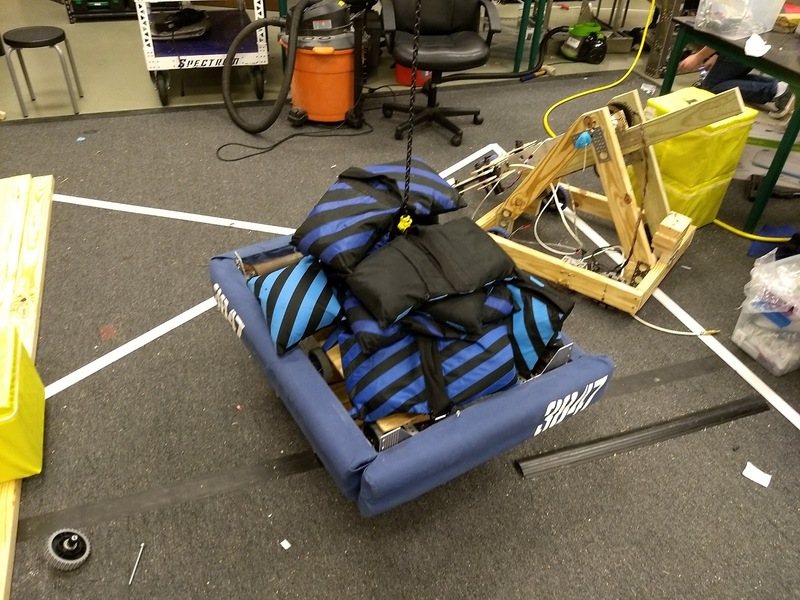 We tested a new version of the hook that held 300 lbs without breaking. dragkrok Very informative post ! There is a lot of information here that can help any business get started with a successful social networking campaign !